One of my favorite blogs to check out is Open Wide, Look Inside, a non-fiction resource compiled by a college professor and her students who are studying elementary education. Each post usually focuses on a single book as a teaching moment, with accompanying web resources, activity ideas, even coloring sheets. The ideas are labeled with appropriateness for different age/grade levels. Because this is associated with a class, posts can accumulate rather quickly. The post I looked at yesterday on apples* is already on an "older" page because of ten new posts. While this makes browsing a little hefty, this does mean that there is a wealth of topics covered. *The apples post brought to mind some ideas for home fun. Bring home a variety of apples and have a taste test. Have kids describe the different tastes and textures. 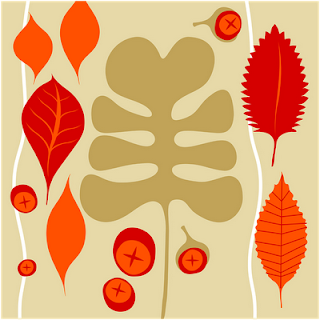 Use any leftover pieces for apple prints or painting. For those of you who come to any of the story times at the library, you have probably heard the librarian talk about the six early literacy skills a time or two (or three or four). Early literacy skills are the skills that kids develop before they are actually able to read. One of the six, print motivation, is a child's interest and enjoyment of books. Yes, that is actually considered a skill. Reading books that are silly and entertaining help them to develop print motivation. McMullan, Kate & Jim. I Stink! Mississippi (Mibs, for short) Beaumont is anxiously awaiting her 13th birthday. In her family, 13 isn't just the start of the parentally dreaded teen years, it's also the beginning of one's savvy or special power. Like her brother...when he turned 13 he caused a hurricane, which is why they now live in the middle of nowhere with absolutely no water around. Her older brother, well, he's got what you might call a static electricity problem. Not all savvies are as unpredictable or violent. Her mother has a perfect savvy. Everything she does is perfect. She even makes perfect messes. While Mibs waits for her special day, something awful does happen. Her papa is in the hospital. Now Mibs just wants a savvy that will help him wake up. A pink bus, a preacher's boy, and a diner stop later, the wonderful tale of Savvy unfolds with wit, humor, and genuine feelings. 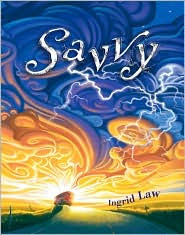 From new author Ingrid Law, Savvy is a wonderful debut. The web page for the book is lots of fun, with computer wall paper, an audio teaser, and a mini interview with the author. The book did land a movie deal a year before published, so here's your chance (and your young readers) to read it before the film! Savvy, while a completely new story, did bring to mind some other favorite spunky girl characters (Ida B. -- and Her Plans to Maximize Fun, Avoid Disasters, and (Possibly) Save the World by Katherine Hannigan, A Crooked Kind of Perfect by Linda Urban, and Book of a Thousand Days by Shannon Hale). With a few more weeks left in September, there are still plenty of Guitar Fest activities to enjoy. The Sunday concerts are a great way for your family to enjoy some late summer sunshine. Just bring your lawn chairs, blankets and picnics to the library. See the Adult Services web page for more info. Established by a couple of Oregonians, International Talk Like a Pirate Day, September 19, has gained worldwide recognition. The library, of course, owns copies of the founders' two books Pirattitude and The Pirate Life: Unleashing Your Inner Buccaneer. In the spirit of this wonderful excuse to sound fierce and funny, here are a few of our recommended readings. Piratepedia by Alisha Niehaus (J 910.45 NIE). A complete guide to all things pirate. Sea Queens: Women Pirates Around the World by Jane Yolen (J 910.45 YOL). A guide to the lives of women pirates throughout history. How I Became a Pirate by Melinda Long (LONG) A how-to story for young pirate wannabees. Pirates Don't Change Diapers by Melinda Long (LONG) To claim their treasure the pirates must first calm the baby! The Old Pirate of Central Park by Robert Priest (PRIEST) A retired pirate battles with a retired queen over control of the sailboat pond. Vampirates: Demons of the Ocean by Justin Somper (J SOMPER) Twins separated in a tragic accident, pirate rescues and vampires? Sounds like an adventure! I Love My Pirate Papa by Laura Leuck (LEUCK) A papa story with a swashbuckling twist. Pirate Girl by Cornelia Funke (FUNKE) Pirates kidnap a fiesty little girl named Molly, only to find that they're the ones who should be shivering in their boots. Did you see the poll on the right hand side of the page? 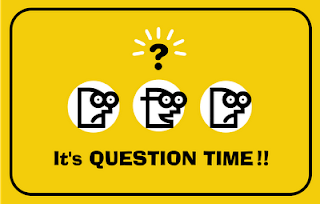 Since this is a new blog, we'd love to hear what you (yes, you lovely readers) would like to read here. You can choose more than one answer. If we've missed the mark completely, add your comment (Other) to this post. Next time you're at the Children's Desk, you can also give us your two cents! Mad Science presents Spin, Pop, Boom! Tuesday, September 16, 7 p.m. If you're an audio book fan, you should definitely check out Library2Go, a downloadable service of your library. With titles for children, teens and adults, this service is too great to pass up. Want something to listen to while you go for walks? How about stories for your kids to listen to while you get dinner ready or they're enjoying free time? Or you teen announces that they need a book for school and all copies are checked out? Download it! You can even transfer it to a MP3 player. And new...they've added downloadable video. Check out everything from biographies to instructional guitar lessons, right to your computer. How does it work? You check it out like a book. The libraries of Washington County have purchased so many "copies" or licences. If the title you want is out, put in on hold and get email notification when it's ready to be checked out. To check it out, download a simple piece of software, the audio/video file and a license. As always, if you need help let your friendly librarians know! Did you know that the library offers book discussion groups for elementary school students and teens? This is a great opportunity for your child/teen to improve their reading comprehension, improve their vocabulary, build social skills, build creativity, and to develop a love of reading. At each one of these meetings, we do more than just discuss a book. At each session we have snacks, and other fun activities like crafts and games to play too! The Kids' Book Club (for grades 1-4) also votes for their favorite book in March each year! Meets on Tuesdays 4-5 p.m. Meets on Thursdays 4:30-6 p.m. The youth services librarians are enthusiastic to have your child/teen participate in one of the book groups. Stop by the children's reference desk today to register and to pick up the selected book for the month. Books are generiously provided by the Friends of the Tigard Public Library. Ten-year-old Zoe believes she will be a concert pianist...if only she knew how to play the piano. Her overworked mom and socially anxious dad decide to help her in this pursuit, except Dad gets nervous and buys a mini-organ instead! Zoe, already on the edge of not-coolness, finds a bit of pep from her weekly lessons and a new friendship. 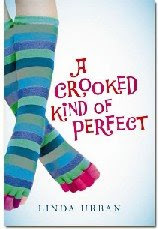 Linda Urban's A Crooked Kind of Perfect is spunky, heartwarming, with just the right words. I, for one, will continue to use "Chopin's Toaster!" when I am shocked and amazed. Recommended for ages 8 and up. Also a great family read or listen. We're baaaack! Your librarians are rested (mostly!) and ready to start story times again. You can find the full schedule here. Don't miss the fun of the 4th Annual Family Fest this Thursday through Saturday! See a full schedule of activities here. With fireworks, a clown, and much more, Family Fest promises something for everyone to enjoy. September is National Library Card Sign-Up Month. Does everyone in your family have a card? It's a great way for kids to learn about sharing, responsibility, and ownership. Plus, I hear there's a chance to win special goodies with a new card. See the staff at the Welcome Desk for more info. Many caregivers are surprised to learn that it is best to start reading with your baby from the very beginning. Those newborns may look like little human grubs, but their brains are developing at an incredible rate, and any stimuli you give them will create new pathways in their baby-brains, and as mentioned in a previous blog post, repetition will help to strengthen connections between those pathways. For the early months, choose books that have big bright pictures (pictures of faces are great), and hold them about eight inches away from your baby's face, so she can see them with her growing eyes. When we grown-up types pick up a book, we don't really think about how to use it, forgetting that books are an information technology and we all have to learn how to use them. The more you read with your infant, the more you may see them, once they can pick up objects, turning board book pages from right to left, and tracking words and pictures from left to right (if they're reading English books). And remember, the more your baby sees you read, the more likely she will be to be drawn to reading herself. Nowadays, biographies aren't just boring books about dead people that your kid reads to write a report. Well, some of them are about dead people, but most of them aren't boring! There are books about both historical and contemporary figures including inventors, scientists, athletes, show biz personalities, authors, politicians, important multicultural figures...the list goes on and on. I always like to highlight a few biographies by putting them on display on the shelves directly across from the Juvenile Biography section. Ask your librarian how to find them. And if we don't have a biography about someone you think we should, then by all means let us know and we'll see what we can do. The Youth Services staff may be taking a break from programming, but that doesn't mean we've slowed down on planning! New this fall...a writing club, Weekend Adventures (yes, programs on Saturdays and Sundays), and a couple of special events. This, of course, is in addition to our regularly scheduled story times, Dogs & Tales, Super Tuesdays, and book clubs. Look to our weekly schedule on the right for a glimpse of the week, or check out a full list of programs on our Kids web page. As always, we have a handy dandy print version for your fridge in the Children's Room. Don't miss what's the Adult Services staff is planning for the fall -- like September's Guitar Fest, featuring outdoor concerts every Sunday at 6 p.m. behind the library. Sounds like a picnic to me! Does your child request the same story over and over again? It's a good thing, we promise. Repetition is one of the ways children improve their early literacy skills, or everything a child learns about reading and writing before being able to do either. Chances are your child is also memorizing parts of the text, learning about sequence, and most importantly, enjoying the time spent reading! Feb. 18 WEEKEND ADVENTURE: Fuzzy Felty Fun, 1:30-2:30 p.m.
Feb. 24 Micah and Me Concert, 10:30 a.m.
Feb. 26 LEGO Construction Zone, 1:30-3 p.m.
Book Babies (ages 0-12 months), Mondays at 10:15 a.m.
Fun for Ones (ages 12-24 months), Tuesdays at 10:15 a.m. & 11:15 a.m.
Toddler Time (ages 24-36 months), Wednesdays at 10:15 a.m. & 11:15 a.m.
Family Story Time (all ages), 10:15 a.m. & 11:15 a.m.
Winter Saturday Family Story Time, January 7-February 18, 10:30 a.m.
Tigard Public Library -- our home! These superheroes, ahem, librarians possess an uncanny ability to help you find just the right book, present fantastic story times and other programs, and inspire your family to have a great time at the library.